Discount Amish furniture is easy to find and just because it's inexpensive, doesn't mean it's cheap furniture. Amish wood workers stay loyal to producing quality wood furniture from quality wood products. Amish Alley is located in Orrville, Ohio. This store sells Amish furniture at wholesale prices. The company has been in business since 1999.The owners of Amish Alley originally had a retail Amish made furniture store in Medina, Ohio. When the economy started to decline, they made the decision to close their brick and mortar store, due to the high overhead. Amish Alley moved their business to the Internet, where they can offer their furniture to a worldwide customer base at a very low overhead expense. The company does not advertise on radio or television, nor do they have a catalog. This is all in an effort to keep their prices as low as they can be. Amish Outlet Store is located in Smithville, Ohio. This company offers seasonal sales as much as 30 percent off normal retail prices. Orders over $4000 receive an additional discount. You also get a three percent discount if you pay by check instead of using a credit card. Amish Outlet Store carries the Better Business Bureau seal on their website to let customers know they are dealing with an honest, reputable company. Amish Direct Furniture is located in Utica, Michigan. The company offers a Deal of the Day. For example, one deal is ten percent off their Modesto Dining Chair. If you're looking for a specific piece of furniture for a good price, it might be worth checking this site daily to see what's on sale. 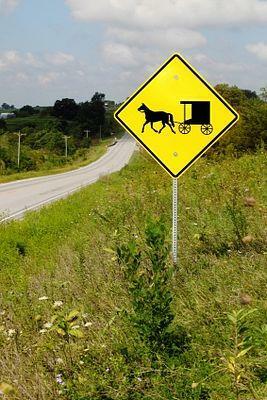 Amish Traditions has been around since 1988. The company has a showroom located in Holmes County, just outside of Nashville, Ohio. They offer up to 37 percent off furniture that's in stock, a two percent discount for new Facebook fans and an additional three percent off if paying by check, cash or money order. These discounts can be used together for maximum savings. Many retailers use terms like discount, wholesale or offer a percentage off the final price. Sometimes the best way to know if you are really getting a good deal is to compare prices. Not all furniture stores have the exact same furniture, so you have to try to compare something similar. The nice thing about buying discount Amish furniture is that you know you are not getting cheap furniture. A lot of imported furniture is made with wood veneers (thin slices of wood glued to particle board). When you buy Amish furniture, you know you are getting handcrafted, hardwood furniture made in the Midwest and you're helping support one of the diverse cultural communities that help make America what it is today.